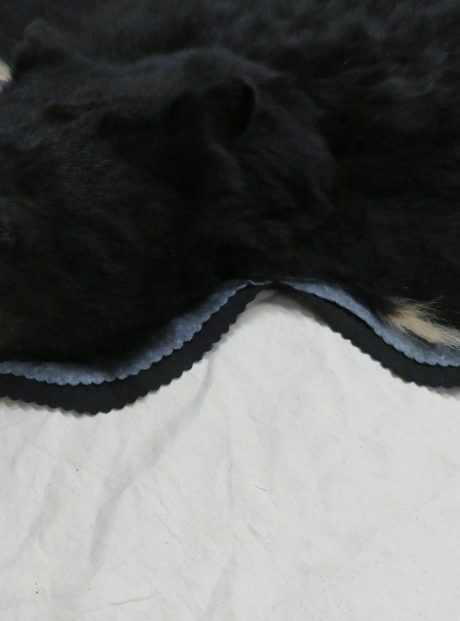 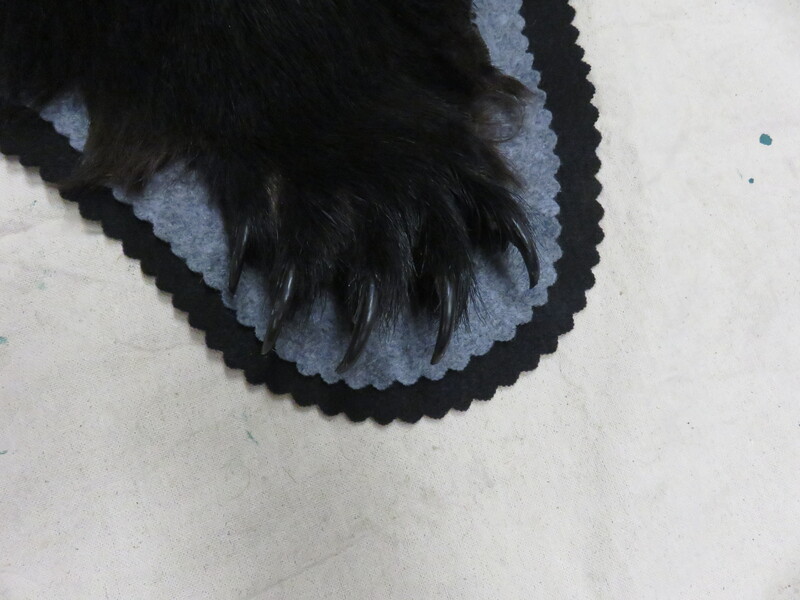 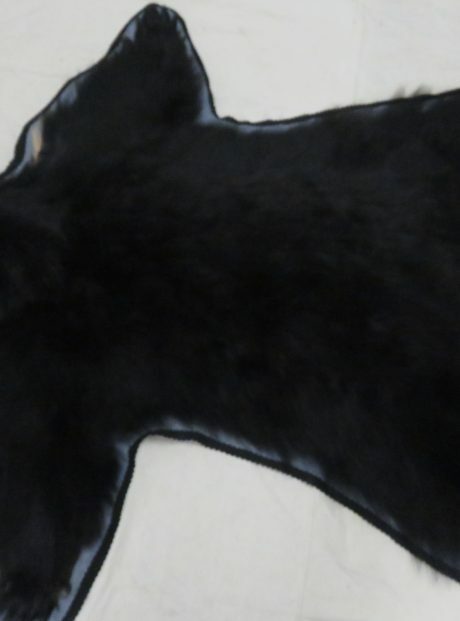 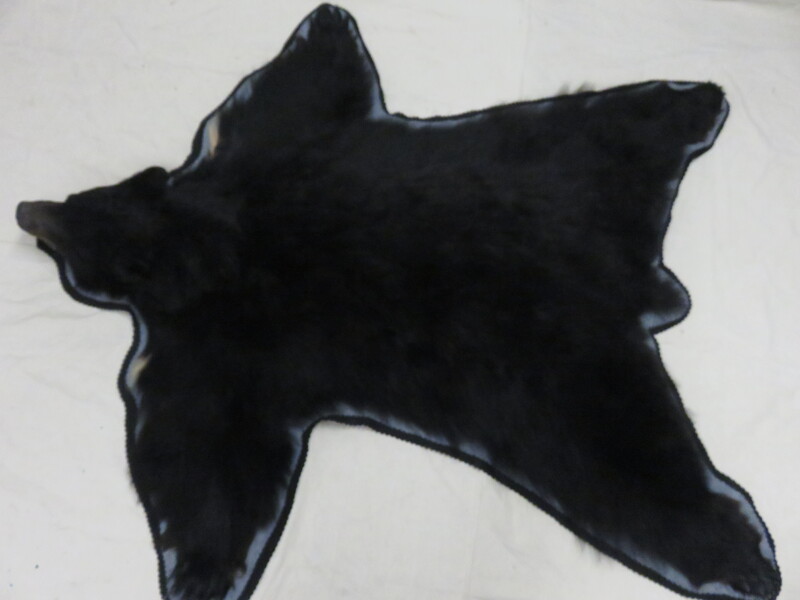 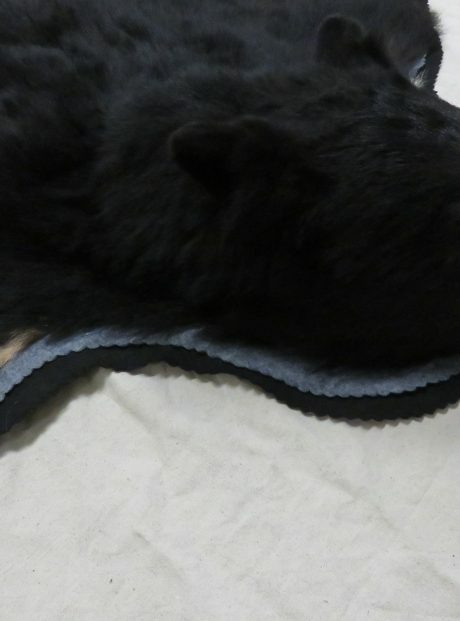 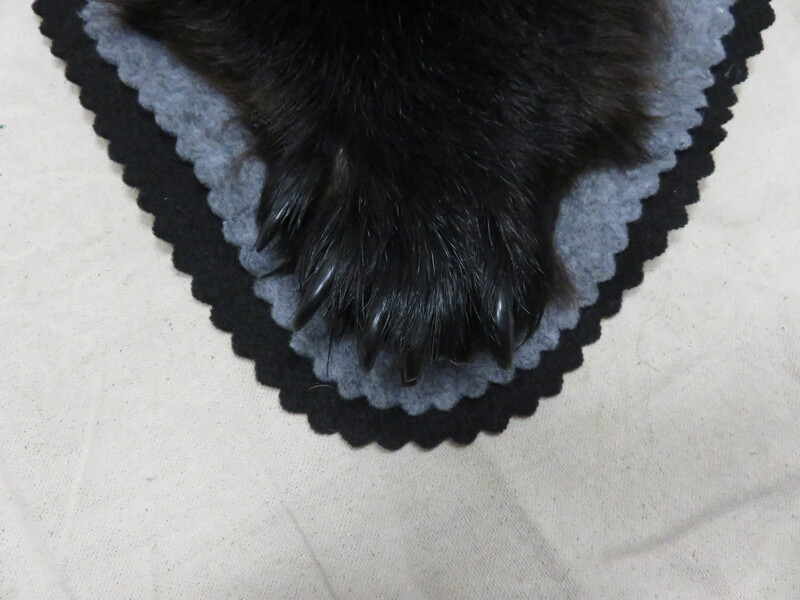 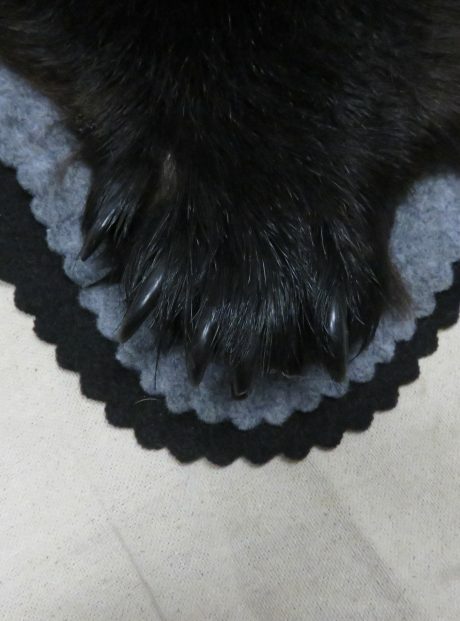 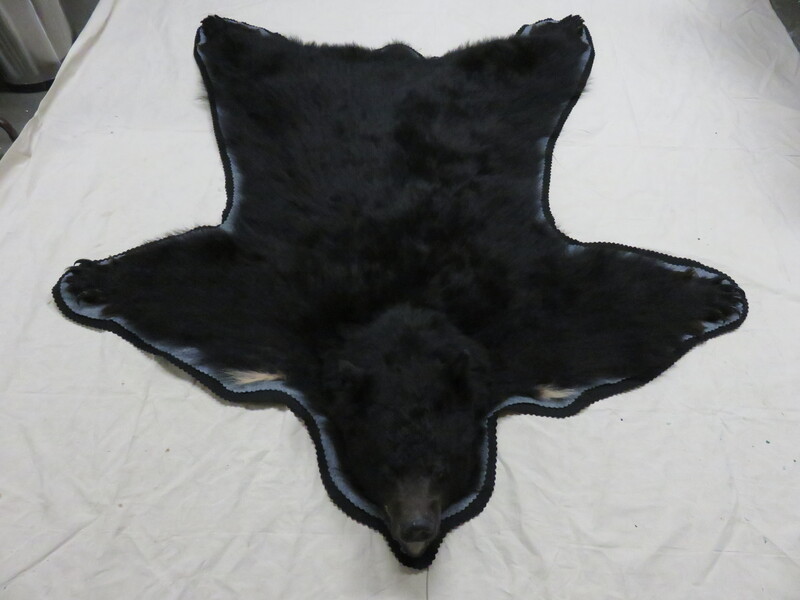 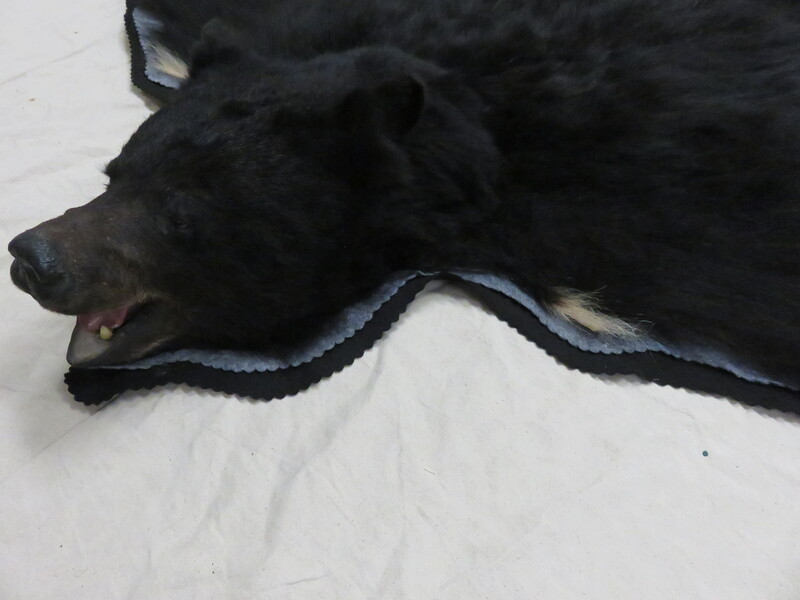 This is a newly completed black bear rug. 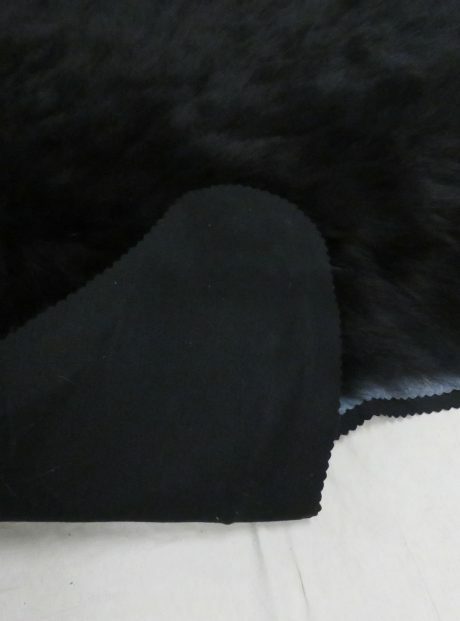 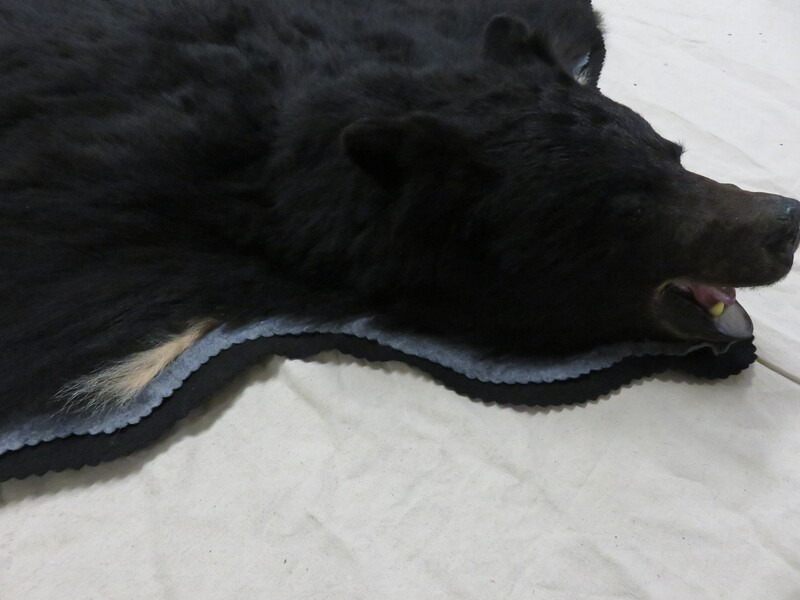 The rug is a beautiful jet black with just a very small white blaze that was at the bears chest. 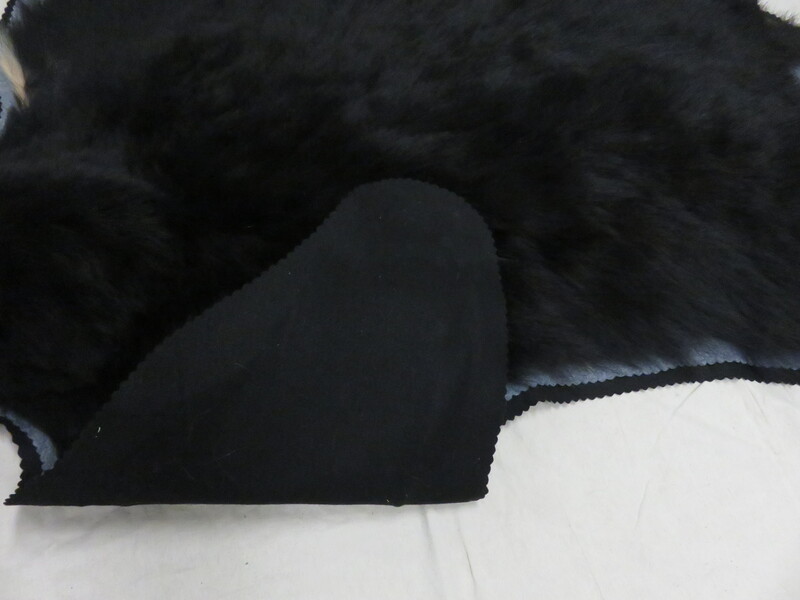 Ears are in the back position and it has the open mouth. 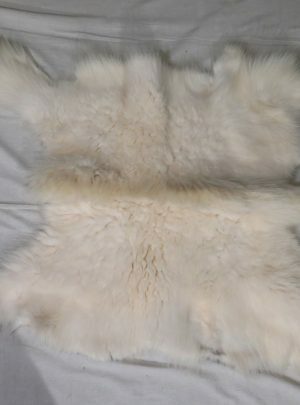 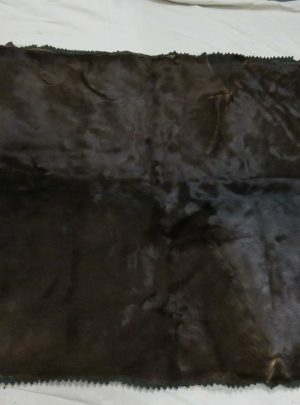 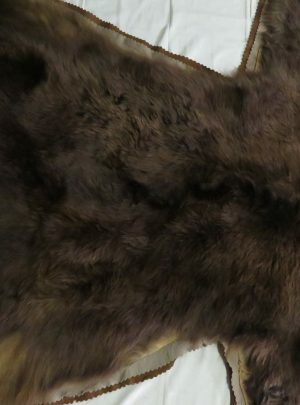 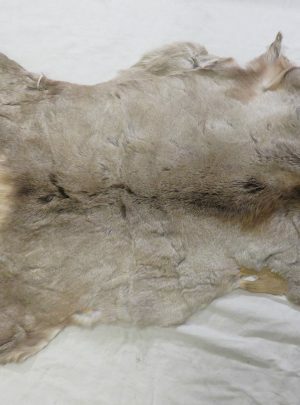 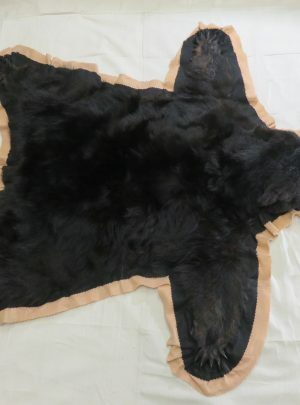 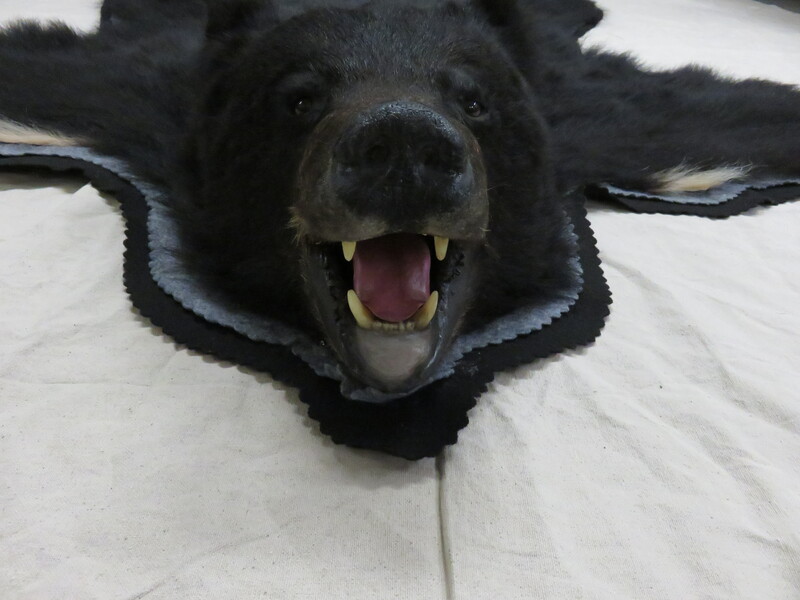 This bear measures 67″ nose to tail and rug is 75″L x 68″W overall. 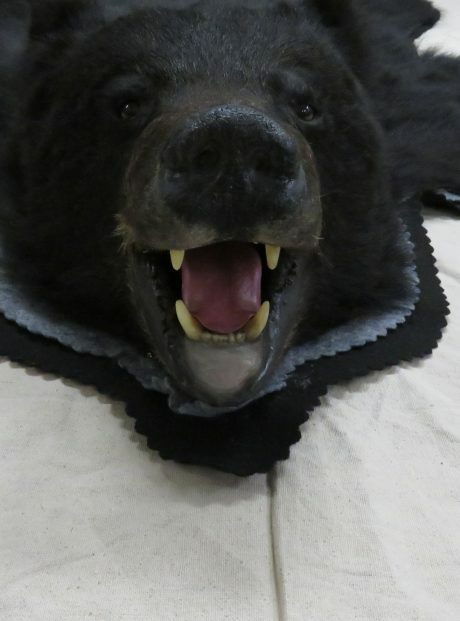 Taxidermy workmanship is superb and this is a great Spring bear that has not only a deep black color but is nice and this even thru the flanks which can be thinning on fall bears. 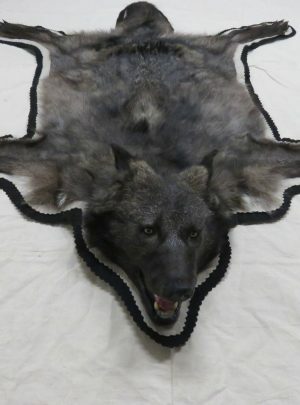 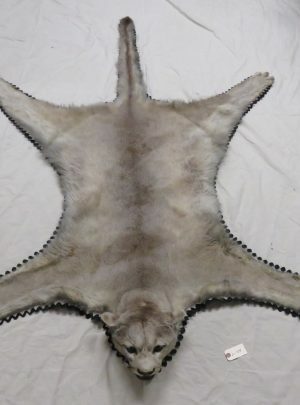 For the combined taxidermy quality as well as the thick black hair color we rate this item in the coveted Premier category to signify an outstanding item for any collection. 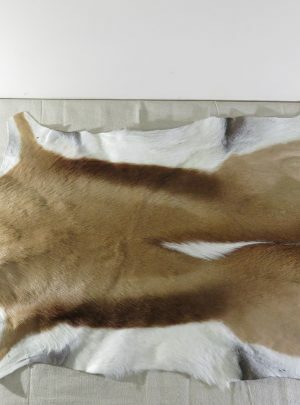 Would look great in the home or the office! 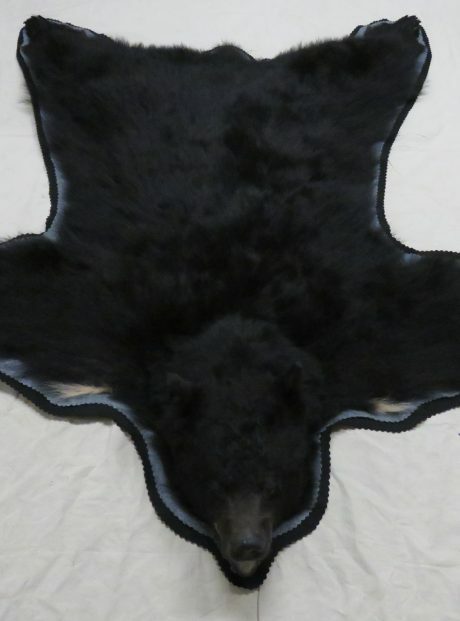 Shipping Restrictions Apply! 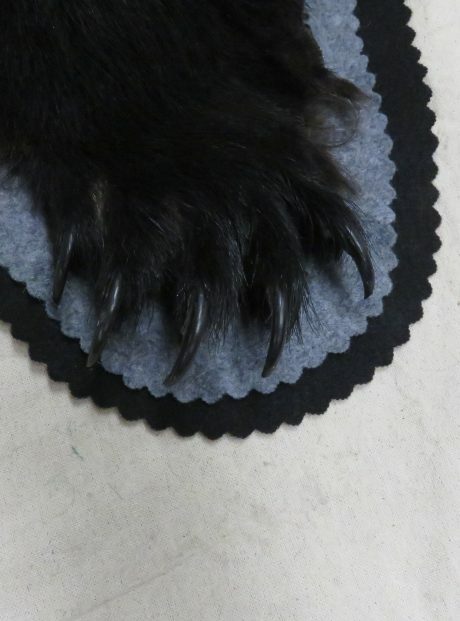 Per state laws we will not ship to CA, FL, NE, ND, OK, SD, VA, or WV.